Selecting the right finish for the job can be a tough decision. This guide will help you choose the best finish for your project and share some helpful tips along the way. 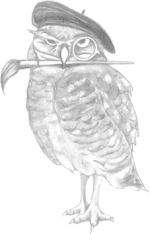 Wise Owl offers Matte and Satin Varnish, natural waxes, glazes, Furniture Salve and hemp oil as sealants for your projects. Let’s start from the top! 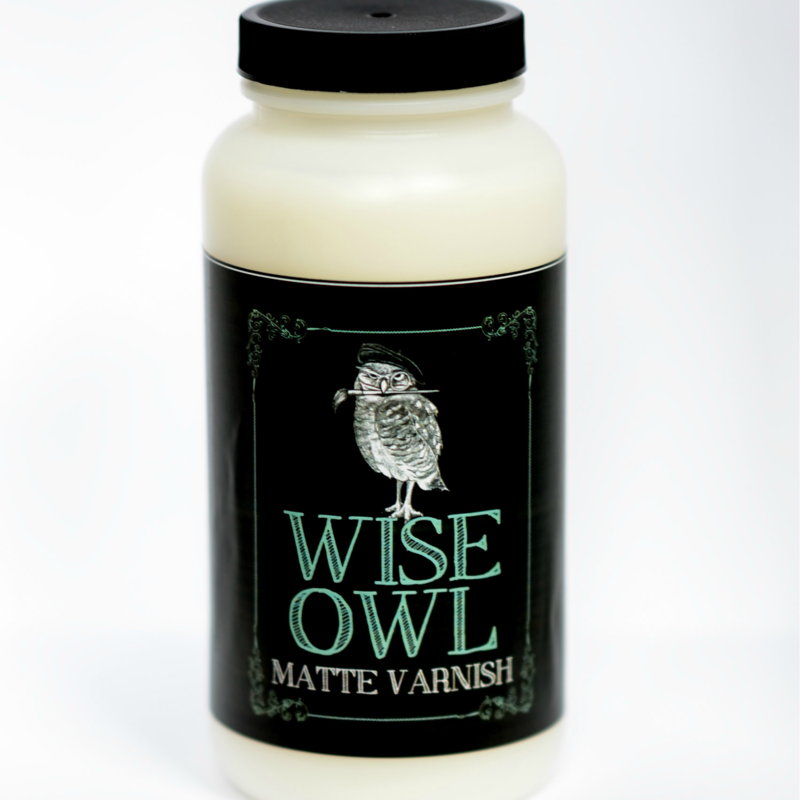 Wise Owl’s Matte and Satin Varnish are unlike any other water-based topcoat. Our varnish formula is truly revolutionary. We utilize a crystal clear resin to yield serious protection that will not yellow or discolor whites due to the crystal clear technology. Our Varnish provides industrial grade strength suitable for cabinets and high traffic areas. Wise Owl Matte Varnish is a truly flat finish to preserve the matte quality of Wise Owl Chalk Synthesis Paint. Our Satin Varnish gives a subtle sheen that is the perfect finish if you desire some sheen. If you need serious protection on high traffic projects, our Matte and Satin Varnish are the best finish for you! 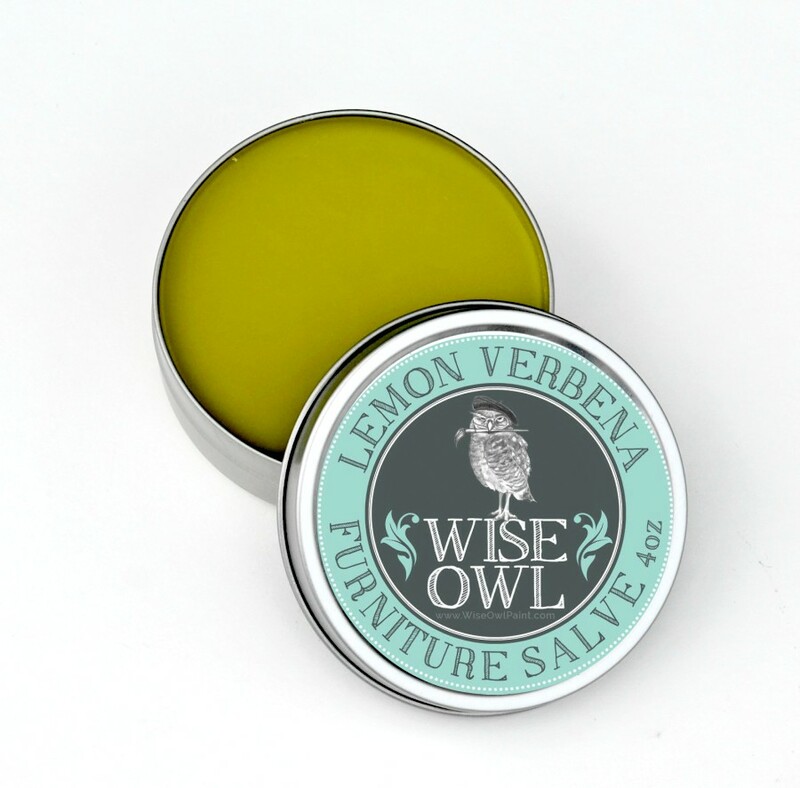 Our Lemon Verbena Furniture Salve because it is a one of a kind magical “furniture ointment”. It is is designed to deodorize, restore, protect, beautify, and rejuvenate furniture and more. You will appreciate its softer than butter texture for easy application. Its Lemon Verbena and Lavender oil scent is luxurious and contains plenty of benefits to up your furniture restoring and refinishing game. NEUTRALIZES ODORS, use inside drawers to seal and protect while removing unwanted smells from furniture. WATER RESISTANT– provides protection against water rings and moisture. It may also be used to remove existing water rings. Makes an excellent HAND AND NAIL TREATMENT! Our natural formula is so safe and we know you will adore softening and moisturizing your hands while using it! AROMATHERAPY- enjoy the calming scent of lemon verbena while rejoicing in the skin improving qualities of cold pressed lavender oil. ANTISEPTIC, ANTI-FUNGAL, ANTI-PARASITIC AND BACTERICIDAL PROPERTIES- protects against mildew, mites, parasites and pathogens and even repels insects! Who needs moth balls when our Furniture Salve smells like a day at the spa! 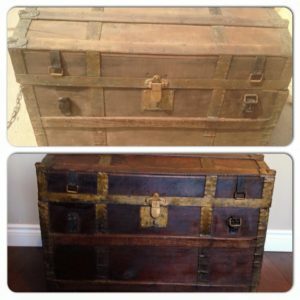 We all know some of the best furniture finds come from the roadside, and we don’t always know where they have been! *UPDATE: Our furniture salve is now available in Lavender and Unscented as well! Our waxes are solvent free and all natural. Its buttery texture promotes smooth and easy application yielding a strong protective finish for projects. Use as a sealant for painted projects and on wood grain as well. Wax finishes may be layered for a desired effect. Wise Owl furniture wax is available in many colors. Allow adequate time to cure for the strongest finish and always remember to buff well. Wax is temperature sensitive (harder at cooler temps) so use at room temperature for best results and easier application. You may apply a clear wax before applying a dark wax if a more subtle finish is desired. Check out our video tutorial on applying wax here. Painted in Wise Owl black finished with Black wax. Project by Hart’s Cottage. Paint is therapy, these just add some scientifically backed punches in an easy to use, one of a kind furniture wax. White– White wash/ liming wax. 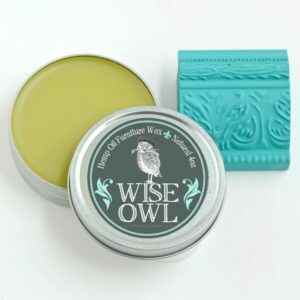 Hemp oil furniture wax is made with all natural beeswax with hemp oil. 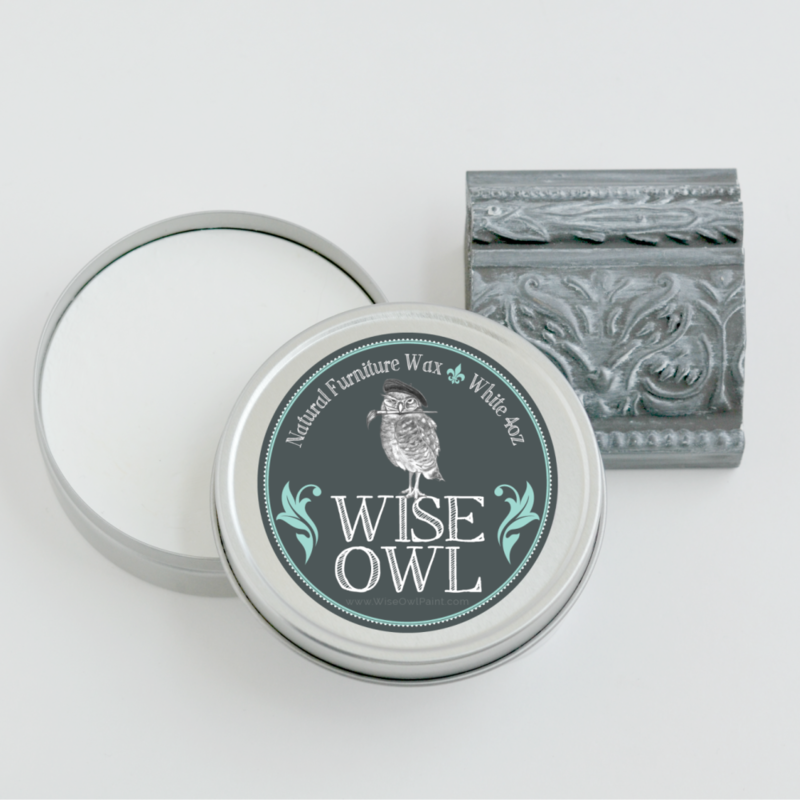 It is a softer wax, making it a dream to apply and buff off. Since it contains hemp oil, it is a superior sealant to many waxes because hemp oil is anti-microbial, anti-fungal (can combat mildew), and it will cure to a strong and durable finish. Hemp oil wax is soft enough to penetrate through the pore space of the paint, thus strengthening the bond of this supreme finish. You may ask… If hemp oil makes the best wax, then why aren’t all of the waxes made with hemp oil? The answer is: Hemp oil is a natural product, and has a natural color that can range from golden to amber and even a bit green. If you choose to use it over whites, it could discolor the finish casting a golden or olive oil color to the finish. On any medium to dark colors, it will only richen the color and you should not notice much of a change. 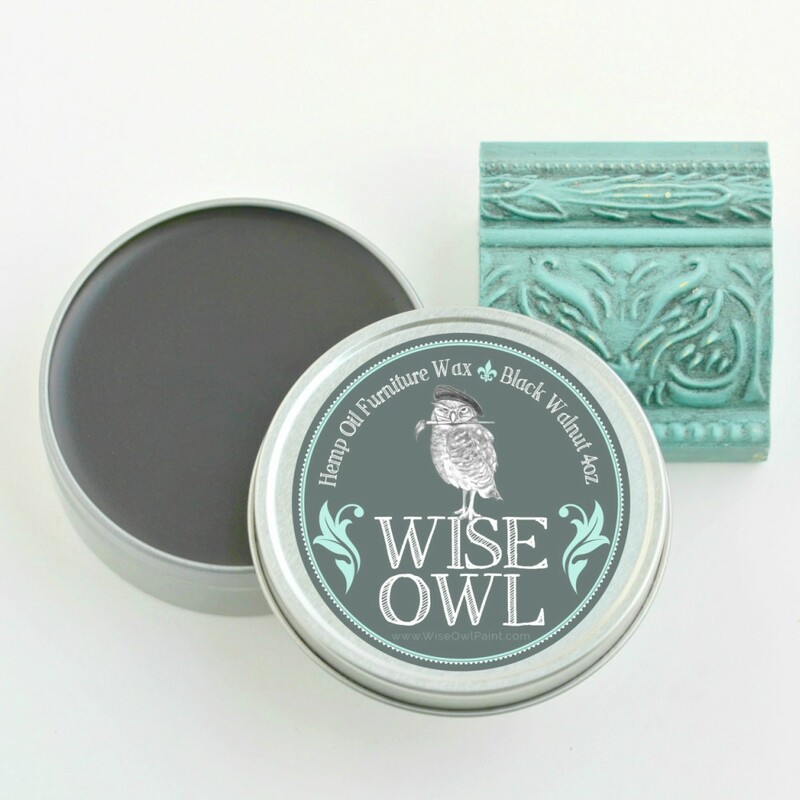 Hemp Oil waxes come in natural, Black, Black Walnut, and umber. Our natural waxes are available in clear, white, driftwood, and a multitude of metallics and they do not contain hemp oil as to not discolor desired lighter finishes. Natural Hemp Oil Wax– Natural hemp seed oil, best on colors besides white due to the natural golden color of hemp seed oil. Painted in Antique Red and lightly distressed then sealed with Black Hemp Oil Wax by Darling and Distressed. Our Glaze is one of the most amazing and dimension creating finishes. What exactly is glaze? 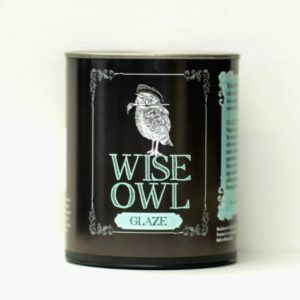 Wise Owl Glaze is a water based finishing and dimension creating product that contains either flat or metallic pigments depending on selection. It can create unique character as well as act as a sealing product simultaneously. It may be used over painted pieces or alone over wood for a gel stain finish. Glaze is a thinner consistency than paint and is designed to be applied and immediately wiped away to create a desired finish. Our glaze is a topcoat in itself but you may also apply our matte or Satin Varnish over top of it if more durability is desired depending on traffic expected and intended use of piece. 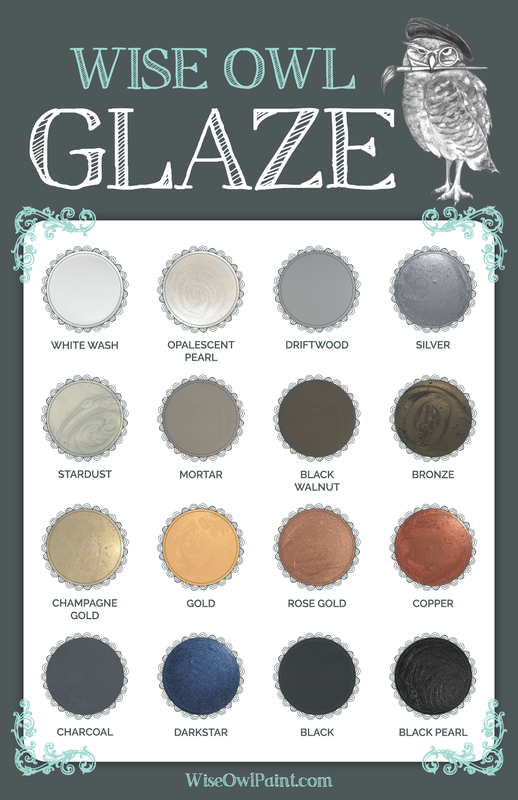 Check out our blog on glazing for more tips on applying glaze here! If you are part of the furniture up-cycling world, you have likely heard about hemp seed oil. This miraculous product is powerful super tool that lends itself to an array of beautifying and strengthening finishes. This is definitely a product that lives up to its street credit! Hemp oil or hemp seed oil is an 100% natural oil produced from extracting oil from seeds of the hemp plant. In its natural form, it is medium amber to dark greenish brown depending on the region from which it was harvested. When unrefined, it retains more of its super powers including but not limited to; antimicrobial and anti-fungal properties, wood and leather refresher and conditioning agent, Wise Owl Chalk Synthesis Paint sealant, and more. Wise Owl hemp seed oil is different from many hemp oils because it is cold pressed (retaining the most antimicrobial and anti-fungal properties) unrefined, and it is also second pressed (preventing it from spoiling like first pressed and refined food grade hemp seed oils. Hemp oil is considered a drying oil because of its ability to polymerize into a solid form. What does this mean exactly? It will harden and become one with the surface (cure) and reach its strongest finish and bond once it has fully dried, lending its strengthening property to the finish of paint and wood. This can take between 2 weeks and a 30 days depending on environmental temperature and humidity. You may still use your piece finished with hemp oil in the meantime, but take care to protect it from water and heavy wear and tear until it has cured. Hemp oil is suitable for outdoor use, and may be applied in multiple coats to produce a more water resistance finish. 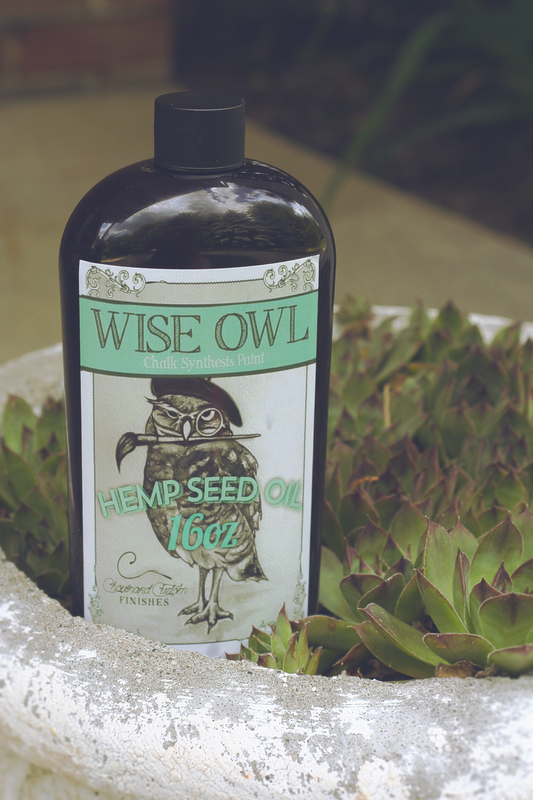 What can hemp seed oil do? It may be used on finished wood to clean and protect, or on unfinished wood to bring out the richness of the wood grain and protect it from water. It is also food safe, making it an excellent choice for beautifying and protecting cutting board and butcher blocks. It makes an excellent sealant over stained furniture! Simply allow the stain to dry for 3-4 days, then apply hemp oil onto the surface and let it absorb then wipe away any excess oil. Hemp oil may be reapplied at any time to renew the finish and bring out the wood grain. It removes oxidation from various metals and may be used to clean corroded hardware and remove tarnish. It provides a strong alternative to waxing chalk style paint. This strong paint finishing product will rival polyurethanes in terms of tenacity! 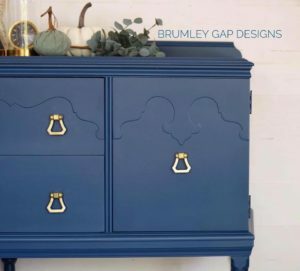 If applied properly, it produces a finish that is not only strong, but also buttery smooth and uncharacteristic of many chalk style paint finishes. 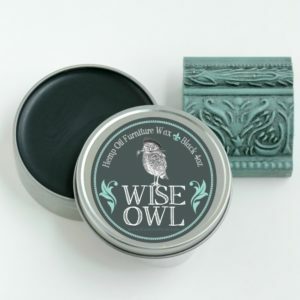 It will not add any shine, and will preserve the matte finish of Wise Owl Chalk Synthesis Paint. For full instructions on applying hemp oil, Check out our blog featuring hemp oil here. For a guide to help you select the best coordinating Wise Owl colors and finish, check out our blog post featuring our favorite and best selling color combos and finishes. If you have any questions don’t hesitate to drop us a line in the contact us section.